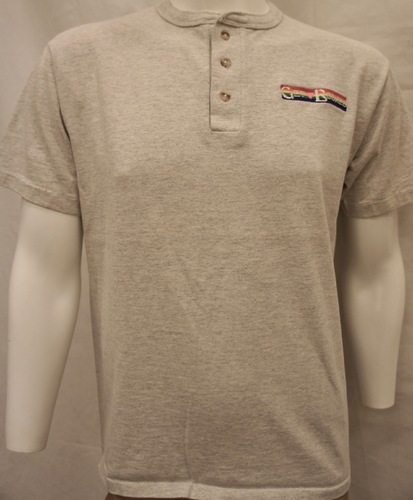 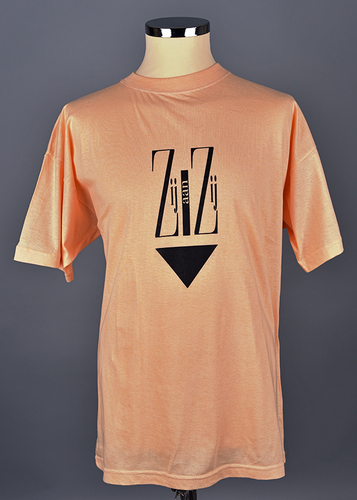 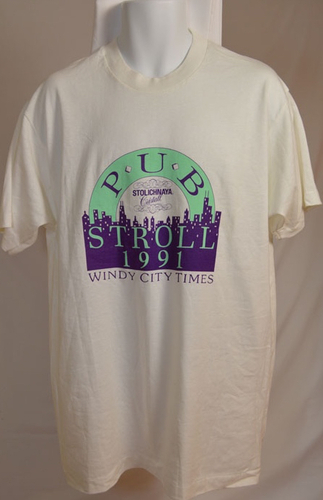 Salmon coloured t-shirt with text: Zij aan Zij (famous dutch lesbian magazine from 1992-2017. 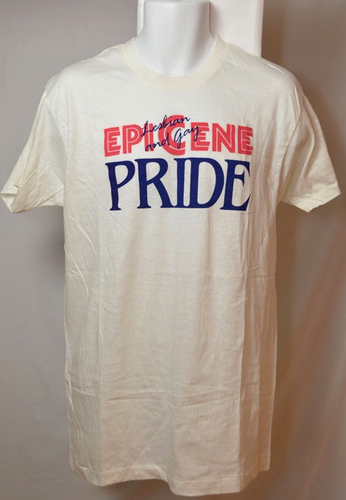 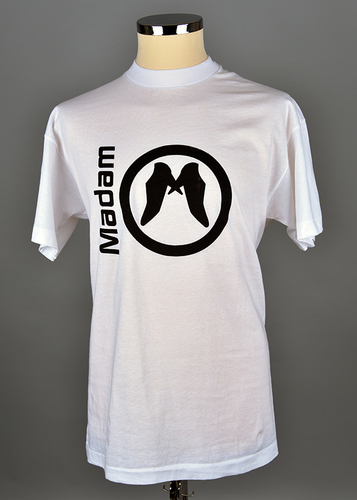 White t-shirt with logo and text: madam. 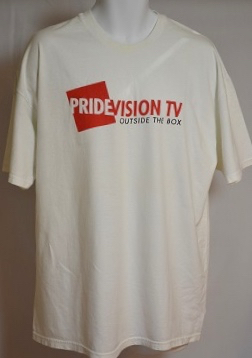 Madam was a lesbian magazine in the Netherlands from 1986-1999. 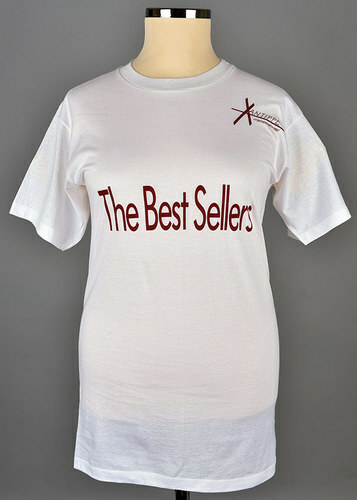 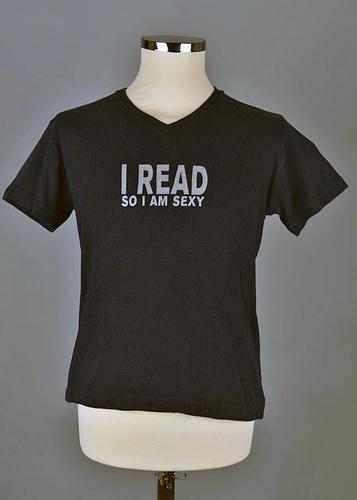 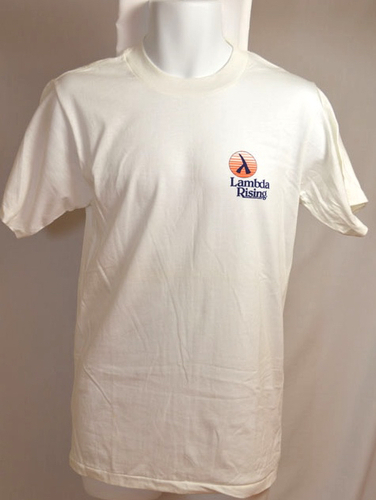 White t-shirt with text: The Best Sellers and the logo Xantippe Women's bookshop. 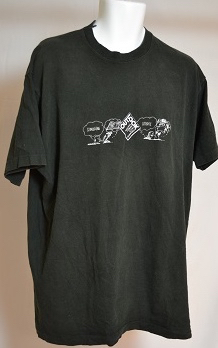 Black t-shirt of Ma'dam lesbian magazine with image in pink of penguins on a floe accompagnied by the slogan "pink penguins dare to be different". 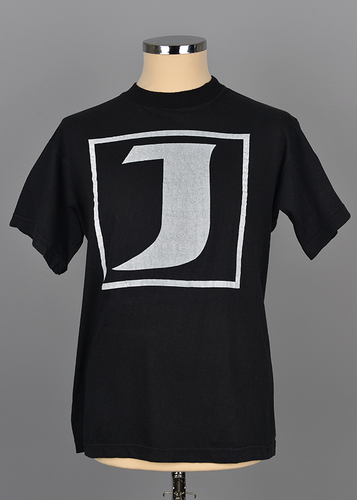 Black t-shirt with on the front a big J, the logo of the Belgium Gay magazine Janet. 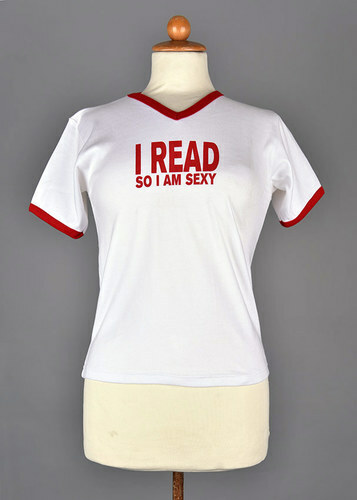 On the back it says: De Janet, creative, intelligent, arrogant and exciting. 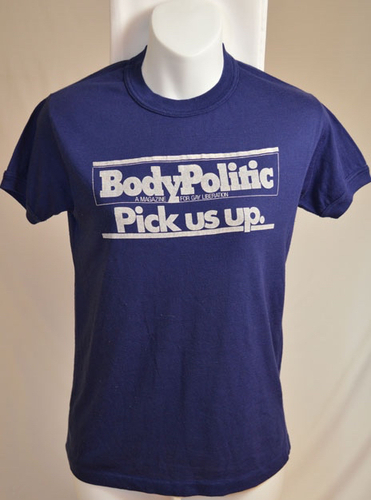 The contemporary magazine for self-confident gays who don't have their intellect hanging between the legs. 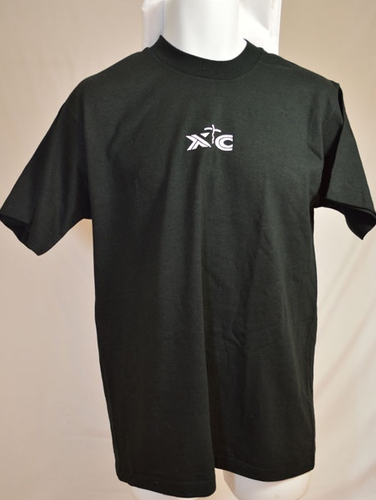 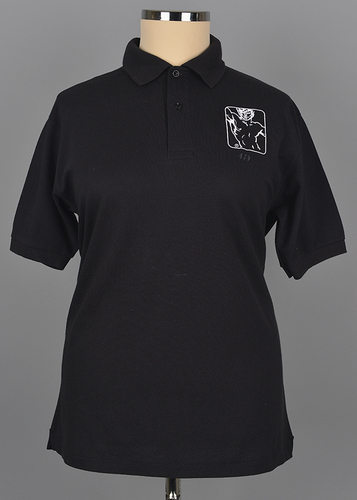 Black polo-shirt with logo XL COC-magazine. 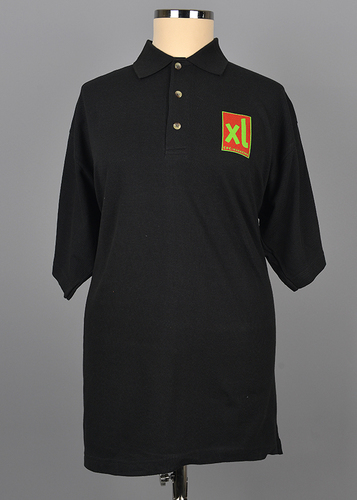 XL was the gay magazine by the dutch gay rights organization COC from 1992-2002. 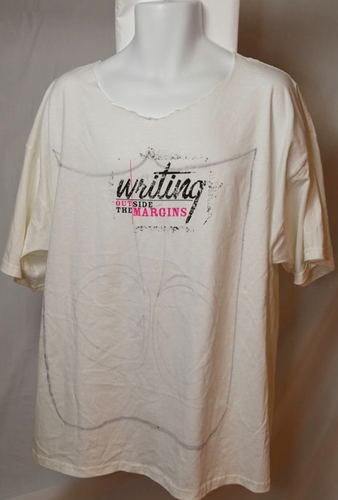 Front: "Writing Outside the Margins" Back: "www.writingoutsidethemargins.com"
Front: Pink and black cursive text. 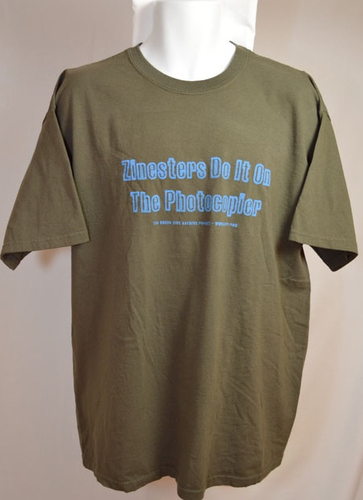 Back: Website URL.. 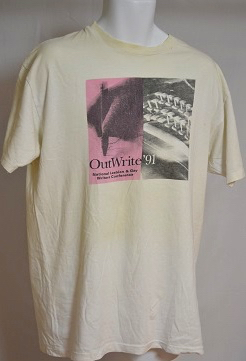 Inside of the shirt contains graffiti. 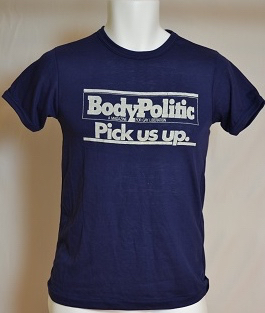 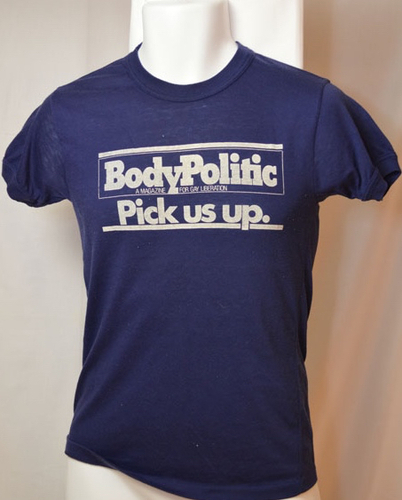 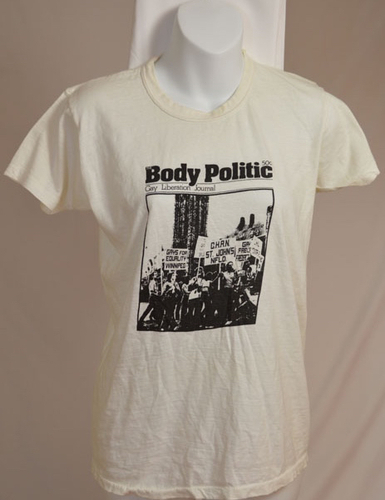 "Body Politic: A Magazine of Gay Liberation / Pick us up." 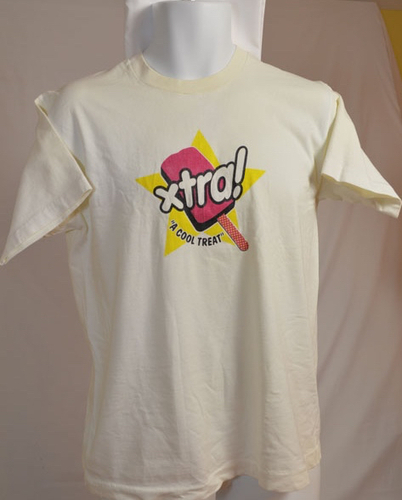 Daily Xtra is an LGBT-focused internet magazine and former print newspaper published by Pink Triangle Press in Toronto, Ontario, Canada. 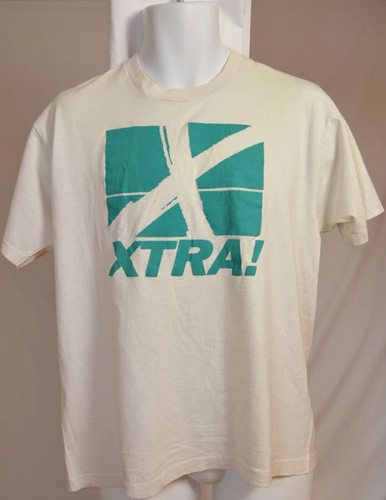 The publication is a continuation of the company's former print titles Xtra!, Xtra Ottawa and Xtra Vancouver, which were discontinued in 2015. 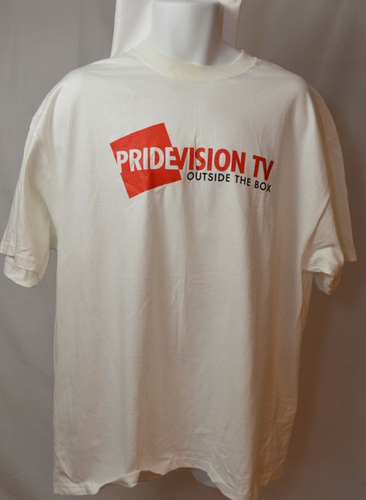 "Lesbian and Gay Epicene Pride"
Front: "Pridevision TV Outside the Box" Reverse: "www.PrideVisionTV.com"
"Zinesters Do It On The Photocopier. 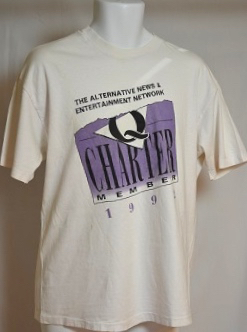 The Queer Zine Project" www.qzap.org"
Lambda in a gradient orange circle. 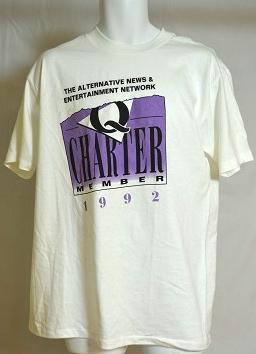 "The Alternative News & Entertainment Network Q Charter Member 1992"
Text over a purple background. 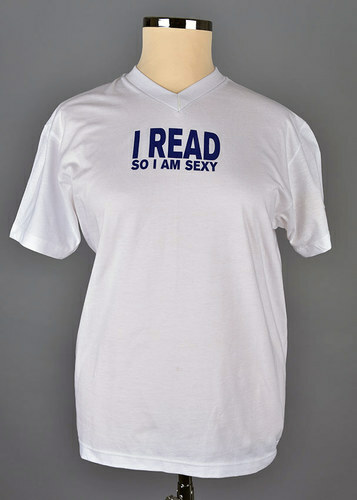 "Stimulating Literate Outlook National Lesbian & Gay Quarterly"
People talking with word balloons. 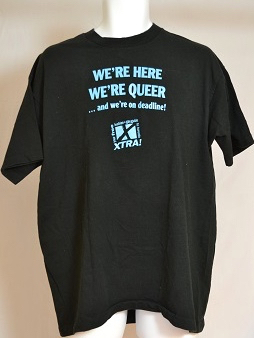 We're Here We're Queer ... and we're on a deadline. 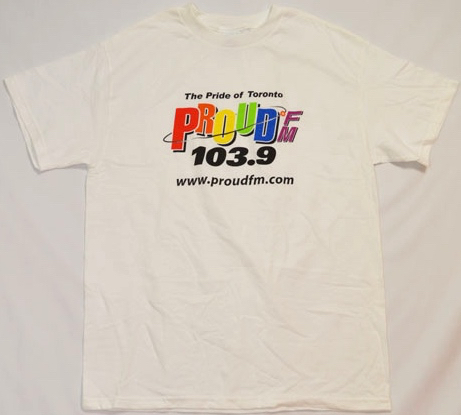 Your Free Lesbian + Gay Guide to Toronto XTRA ! 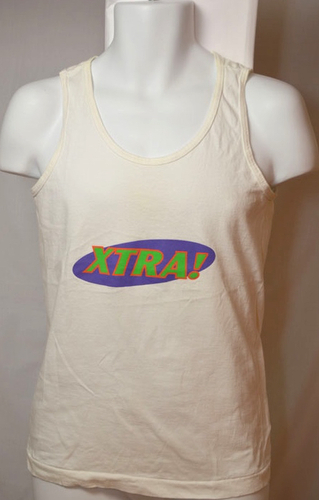 Front; XTRA: Reverse; Pick Us Up !